A pilar cyst, also known as trichilemmal cyst, is a small sac that grows mainly on the scalp. A person can have one or many pilar cysts. They can be touched or felt easily. They are basically dome-shaped and flesh-colored. The part on your scalp, where pilar cyst is, gets swelled up. The size ranges from 0.5cm to 5.0cm. 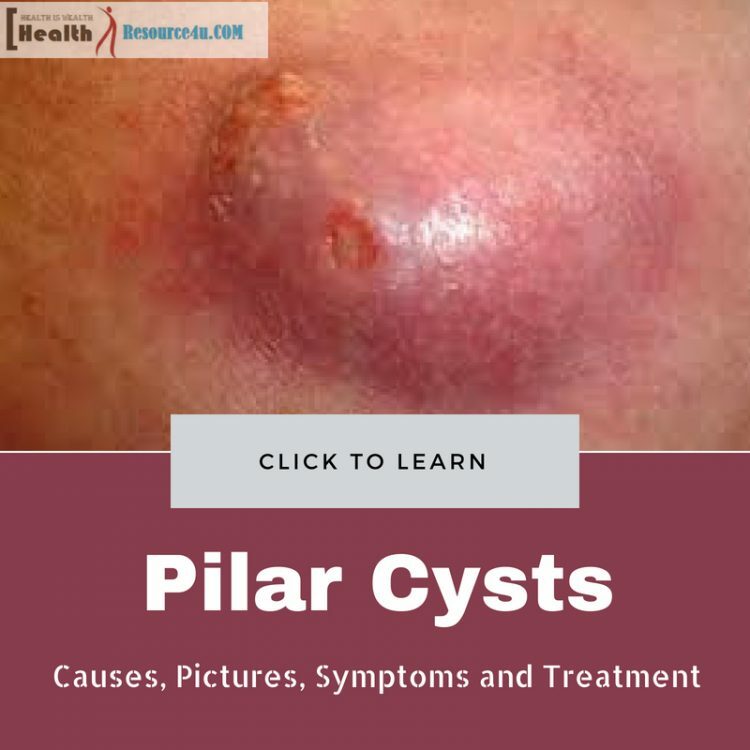 Pilar cysts are fluid-filled cysts that form from hair follicles. Thus, these cysts are mostly found on the scalp. They are filled with the protein component ‘keratin’ that is found is hair, skin and nails. It looks very much like oily toothpaste. A pilar cyst has a tough wall, but once treated it can be separated easily from the skin. If it bursts, the area gets boggy, soft, red and inflamed when it’s touched. 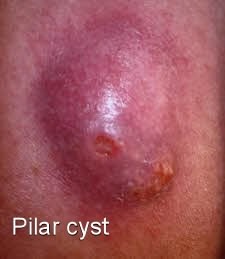 Pilar cysts continue to grow until they reach a stable size. They don’t burst a lot mainly due to the fact that they have a thick wall. At times, some cysts get very large. They get so large that people face difficulties wearing hats and helmets. Usually, pilar cysts are neither lethal nor threatening. But, they can certainly cause pain and prevent the patient from performing daily activities in a comfortable manner. It is very rare but pilar cyst cancer can develop as well. If you have doubts about having this problem, then it’s best to make an appointment with your doctor and let your doctor examine it for you. The examination will be done with the hands, instead of medical tools, to determine the size, firmness, location and shape of the cyst. 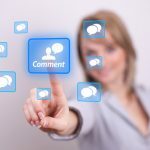 It’s important to note that most people who face this problem do not feel any pain or other negative effects. Therefore, they don’t have to get it removed. It forms from cells that are very much like the cells that are found in the bottom of hair follicles (the exact place where hairs grow from). Anyone can get affected by it, but they are mostly found in middle-aged women. They can grow anywhere but they are mainly found on the scalp. Many cysts may appear on the scalp at the same time. It forms from cells that can be found on the top layer of the skin. Young people and middle-aged adults are likely to get affected by it. Epidermoid Cyst can grow anywhere but it is mostly found on the face, upper back, chest and neck. It develops behind the knee joint. This cyst can be extremely painful. It is mostly found in women who are of child bearing age. At times, they can become very large and extremely painful. It can lead to a problem called “polycystic ovary syndrome”. They appear on the skin surrounding the testicles. They are usually painless and don’t cause any harm. Blocked Glands: If sebaceous glands are blocked (regardless of the reason), then they cause pilar cysts. Cells that are Close to the Surface of the Skin: If they get into deeper parts of your skin and continue to multiply, then they can create a sac and make keratin. Skin Injury: If you suffer from a skin injury, then pilar cyst can develop. A skin trauma can accumulate keratin in that particular part. The infected region will then form thick lumps. Heredity: People are likely to get affected by it after puberty. A lot of people in fact inherit this problem. 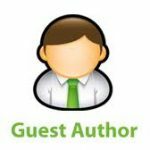 If one of the parents has it, then the children are likely to get affected as well. If your parents have this problem and you think that you have been affected by it too, then it’s best to get it checked out by a doctor. Dome-Shaped Bumps: They grow slowly and look like round bumps under the skin. They can be about the size of a pea and can grow to be several centimeters in diameter. Pain: Pilar cyst can become very painful if it gets infected or ruptured. People who suffer from this infection feel the pain when they touch the infected skin or region. Red: It becomes red if it gets infected. Hair Loss: Hair loss is likely to occur where pilar cyst grows. Bad Smell: If the pilar cyst get ruptured or damaged, the pus will come out. In such a case, foul smell will emanate from the infected region. Horn: At times, a horn may appear over the infected region, making it more unpleasant to look at. Irritation: Irritation is likely to occur when the pilar cyst is rubbed against the clothes. There are two types of treatments to cure pilar cysts. Your doctor will either give you antibiotics or remove the cyst physically. Many doctors suggest that it should be left untreated unless it has grown significantly in size or has been infected. The procedure can literally be done in a matter of minutes only with local anesthesia, also called punch biopsy. Since this cyst appears mainly on the scalp, it is often considered necessary to remove the hair that is close to the cyst. Anesthesia is injected and then the doctor makes a small cut in the cyst. The keratin is taken out by pressing the cyst. After it’s removed, a tool is used to take out the sac. Once done, the wound is closed with a stitch or row of stitches. A single procedure can be used to remove several cysts at the same time. You shouldn’t be worried if you get a pilar cyst, because they are usually benign, i.e. non-cancerous. However, it’s always best to visit your doctor and seek proper advice. How do you prevent them from coming back after they are removed. Can they be frozen off?